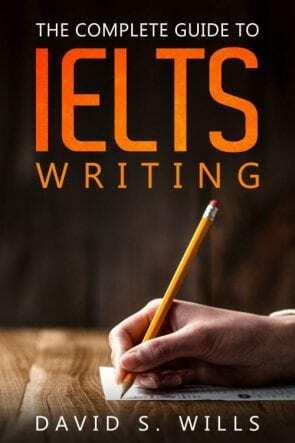 Below are dozens of IELTS speaking questions. These are arranged by topic, and perfect for IELTS students who want to do some speaking practice. Use these to help you prepare for the real IELTS speaking exam. I’ve included two useful videos from my YouTube channel that include sample answers. If you find them helpful, consider subscribing to the channel. Enjoy! If you want to learn more about IELTS Speaking Part 2, check out my comprehensive guide here, and if you want some one-on-one coaching to help improve your speaking skills, take a look at this page. What do you like doing most with your family? Who are you close to in your family? In what way is your family important to you? and explain why you like him/her. In what ways have families changed in the last hundred years? Should we rely heavily on our families or is it better to try to be independent? The elderly are sometimes considered the wisest members of society. What do you think we can learn from them? What do you expect from a good friend? Are friends as important to you as family? Do you think friendships change as we get older? How? Are you good at sport? Describe an exciting competition or sporting event you have witnessed. and explain why it was exciting. Do you think people in your country are less healthy than they used to be? How can we encourage young people to stay healthy? Should governments intervene to force people to be healthier? Why did you choose that course or job? What is the most difficult thing about your studies or job? and explain why it is your dream job. Do you think science subjects are more useful than arts subjects? Are students mature enough to choose what to study themselves or should their parents decide for them? In your country, does having a university education help you into a better career? Do you think older or younger workers are more motivated? How can managers increase motivation among their workforce? Are people more motivated if their job involves helping others? Tell me about your country’s climate. Does the weather influence your mood? Is it worse to feel too hot or too cold? and explain why it is your favourite season. Are people in your country concerned about protecting the environment? Does the responsibility for protecting the environment lie with governments or with individuals? Does it help to educate young people on being green? What effects does pollution have on the environment? Do you think we pollute more now than we did 50 years ago? What do you think will happen if we do not reduce current levels of pollution? What do you think is the best way to keep in touch with friends? Do people keep in touch differently now compared to 50 years ago? Describe a language other than English that you would like to learn. What you think would be difficult and what would be easy about learning the language. and explain why you would like to learn it. Is it considered important in your country to learn foreign languages? What, in your opinion, is the best way to learn a language? Why are some people seemingly better at learning languages than others? How do people in your country feel about English being the world language? Do you think the culture of English-speaking countries, as well as the English language, dominate the world? Why do you think people feel it is important to continue to speak their local languages? Does everyone have access to the internet in your country? Do you think older people are scared of new technology? Do you think young children should have mobile phones? Describe a piece of electronic equipment that you find useful. What have been the most significant technological developments of recent years? In what ways have these developments changed society for the better and for the worse? Are people in your country nostalgic about life before technology? Why do you think some people claim scientists interfere too much with nature? Do you have anything against animal testing? Is scientific progress always for the greater good? What is your favourite musical instrument? Do you prefer action films or comedies? Why? Do you think it is important to read novels and poetry? Why? Describe a hobby you enjoy. Do you think men and women tend to have different types of hobbies? Why do some people get obsessed with their hobby? Do you think hobbies that keep you fit are better than hobbies that you can do sitting down? Do you think it can be a disadvantage to have too much free time? Should people feel a duty to do something constructive in their free time? Do people have more free time now than in the past? Are you still in touch with your childhood friends? Is it important for children to have fun? Why? Describe a happy childhood memory. Do you think people often idealize their childhoods? How does a person’s childhood influence what kind of adult they become? When does a child become an adult, in your opinion? Do you agree with the saying, “Children should be seen and not heard”? Is it good for children to be exposed to frightening and sad experiences or should they be protected from these as far as possible? Are children in your country generally well brought up? Tell me about your hometown. In what ways has your town or city changed since you were a child? How could your town or city be improved? Are there any traffic problems where you live? Is it only children who experience homesickness? Do you think it’s better for children to grow up in the city or the country? Why do some people retire to the countryside? Are people from your country patriotic? Why do people often feel proud of where they come from? Does intense patriotism have any disadvantages? What is the most important festival in your country? Do you think this festival will still be as important in the future? Tell me how weddings are celebrated in your country. What are some forms of traditional dancing in your country? Describe a festival that you enjoy. and explain why you enjoy the festival. Are historical sites in your country popular with visitors? Is it more important to preserve historical sites or make way for the developments of the future? What do you think will happen to your country’s historical sites in the future? What is ‘culture’ to you? Do you think that it is important for a society or culture to have a sense of continuity with the past? How will your country’s culture have change in fifty years’ time? Is your country popular with tourists? What sights or activities would you recommend to a tourist visiting your town or region? Do you enjoy active holidays? Tell me what your ideal holiday would be. And explain why it is memorable. How can you make sure you get the most from your travels? What are the positive impacts of tourism? What about the negative impacts of tourism? How has tourism impacted tourist sites in your country?